‘In reality there is not a muscle of the body which does not express the inner variations of feeling. All speak of joy or of sorrow, of enthusiasm or of despair, of serenity or of madness’. Versus Rodin: Bodies across space and time brings together key pieces by this pioneer of modern sculpture with an innovative selection of work by leading modern and contemporary artists who have similarly challenged our understanding of the human condition. 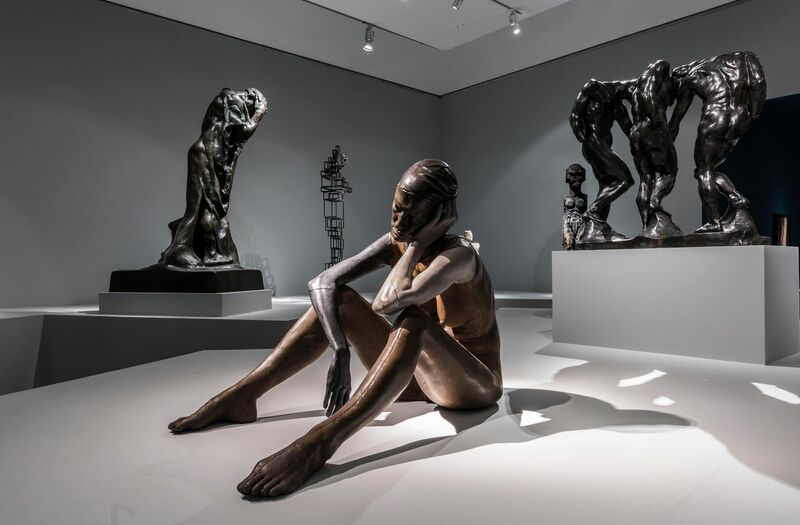 Exclusive to the Art Gallery of South Australia, Versus Rodin includes the Gallery’s significant collection of bronze sculptures by Rodin, the largest collection in the Southern Hemisphere. Principal Donor Neilson Foundation. Publication Partner Gordon Darling Foundation. Presented by the Art Gallery of South Australia Foundation and supported by Adelaide Festival.